George Graham Reviews Tow'rs' "Grey Fidelity"
Independent artists and groups releasing their own material, or “indie bands” as they are popularly known, usually do what they do because it’s out of the pop mainstream, and which what’s left of the commercial music business would not be interested in. Or, what is often the case, the indie bands are groups which major label would not sign on the merits because they are just not very good. This week we have a new album by a band that definitely has the musical assets, but has a decidedly “indie” sound with a kind of folky, but dreamy approach. The band is called Tow’rs, and the new second release is called Grey Fidelity. Tow’rs are from Flagstaff, Arizona, and in their words, “We were originally a bunch of strangers who found each other through of deep love for music and story telling,” The two principal members then became husband and wife, Kyle and Gretta Miller. He plays guitar and did most of the lead vocals, as well being the main songwriter. Greta Miller plays bass and shares in the vocals. Their original drummer was Kyle Miller’s younger brother, but the new album features Caleb Friesen and Ryan Smith as drummer/percussionists on the project. Prominent in the sound of almost all the tracks on the album is cellist Emma Crislip. Rounding out the group is guitarist Kyle Keller, who also plays synthesizer, in the otherwise acoustic-leaning album. Tow’rs has absorbed some folk influences from back in the day. But they also show some musical characteristics with other contemporary groups who mix folkiness with an alternative rock sensibility like the Fleet Foxes and the acoustic side of Mumford and Sons. Grey Fidelity’s somewhat atmospheric sound is by design, with the group using the premise of uncertainty saying that the “grey inconclusive nature of life felt paralyzing at times this year.” They looked upon the notion of fidelity as a “recurring hope where there weren’t conclusions.” Many of the compositions are love songs, or pieces about relationships at their heart, and lyrically take different directions within the broad theme. The music’s sound also reflects that kind of intentional ambiguity, with the acoustic-dominated sound, and a plaintive cello omnipresent, while the rest of the band can hint at everything from nostalgic folk to old rock ballads. Kyle and Gretta Miller share lead vocal duties, though Kyle is heard more frequently in the spotlight. They often do vocal harmonies, but they tend to be subtle with the lead vocal dominating. While the arrangements can maintain the folky atmospheric sound much of the time, there are some occasional electric interjections, from both guitar and some quirky old-fashioned synthesizer sounds. Grey Fidelity the new second album by the husband-wife-led Arizona-based group Tow’rs, is a pleasing recording that shows a kind of indie rock sensibility with contemporary elements along with an interesting amalgam of stylistic ingredients, with an acoustic texture through the cello. That imparts an often atmospheric sound. The group’s material, written by co-leader Kyle Miller, is intelligent, lyrically poetic and often ambiguous, and both he and his wife Gretta Miller’s vocals have an honest yet appealing sound. The album seems a kind of diametric opposite to much on the contemporary commercial music scene with Tow’rs’ honest sounding, un-processed vocals, and lack of computer-driven rhythms. Where synthesizers are heard, they have a distinctly vintage sound. And the record’s performances have a live quality that does not sound as if it was built up by layers in the studio. Our grade for audio is about an A-minus. The vocals are reasonably well recorded without distortion, and the atmospheric ambiance is tastefully done. But as is so often the case, the recording was over-compressed to make this relatively delicate music needlessly artificially loud. It detracts from the ebb and flow of the performance. 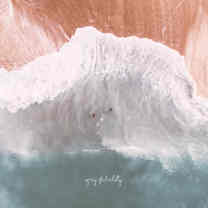 Tow’rs’ album Grey Fidelity could I suppose be a kind of rainy-day record with its musical mood and textures, but for me it makes for nice listening anytime.